Before calling any siding contractors, do your homework on the type of siding you have in mind. Not all installers work with all kinds of siding materials, so you’ll want to focus your contractor search on those who specialize in the siding you want. Get an idea of the price range for materials and labor so that you’ll be able to confidently compare estimates and the scope of work. Your local government’s building authority can tell you what permitting requirements are, as well as whether a licensed professional is required. In addition, there may be limits to the type of siding you can use. If your home is in a community with a homeowner’s association, checking its rules for siding is a must. What is your experience in installing the type of siding I want? Make sure the contractor has many years of experience with the material and installation method. Can you provide proof of insurance? Don’t simply take the contractor’s word on this: Get insurance information, then call the contractor’s insurance company to confirm that the policy is in good standing. Also make sure that subcontractors are insured in case they’re injured while working on your project. Can you provide customer references? Get names and address for customers who will allow you to come see the contractor’s work for yourself. If possible, ask the customers if they would choose to work with that contractor again. Do you offer a warranty or satisfaction guarantee? Top-quality siding contractors are more than willing to stand behind their work. Make sure your contract clearly spells out what recourse you have if you’re not satisfied with the job. Carefully review all estimates for what they do and do not include, such as removal of existing siding and debris. Check the scope of work in each estimate and make sure it’s broken out in detail. You’ll want to know all you can about the price of material, labor, taxes and any associated fees. Be sure you’re clear on what kind of deposit is needed for work to start and what the subsequent payment schedule is. If you’re at all uncomfortable with language in a contract, go to the trouble of having an attorney review it — the cost of that could save you thousands down the road. In addition to the questions above, find out how long the contractor has been in business, and whether any complaints have been lodged against him or her with the Better Business Bureau. You can also check with the consumer protection agency in your state. Save time and hassle — find your siding contractor with Contractor Connection. 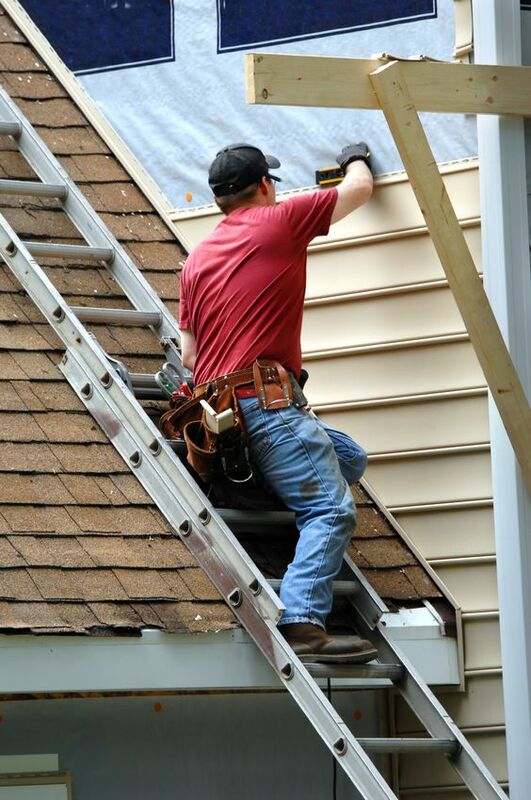 We’ve taken the headaches out of finding a siding contractor you can trust. The contractors in our network meet the most stringent standards in the industry, and they are verified to have proper licensing, proper insurance and financial stability. Get a free, no-obligation estimate for your project — simply enter your ZIP code at the top of the page to get started.